ISO 27001 Information Security management systems is the most preferred International Standard developed by ISO to demonstrate effective implementation of info security management. It gives organizations the necessities for Information Security controls (ISMS) and serves organizations large and small, in both public and private sectors, in manufacturing and services. ISO 27001 can institute an outline for industrial hubs; money-making, institutional, and governmental facilities; and entire firms to manage their Information Security efficiency. Due to poor security controls, more than 20% of vulnerable companies are getting hacked by unknown sources leading to information breach. These information breaches leads to severe damage to reputation and financial risks. The ISO 27001 certification provides an outline to demonstrate compliance with applicable statutory and regulatory Information Security requirements. By complying to the ISO 27001 certification, an ISO 27001 company ensures that their ISMS system meets all the controls established to prove an effective ISMS. 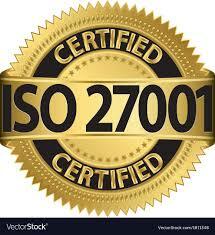 GQS has wide experience in implementing ISO 27001 in Manufacturing companies, cheque printing companies, Asset recovery companies, construction companies, Banking companies, IT Companies and a whole lot of service sectors located in Singapore, Malaysia, Indonesia, Dubai, Abu Dhabi, Maldives, Philippines. Support in Vulnerability Assessment and Penetration test.